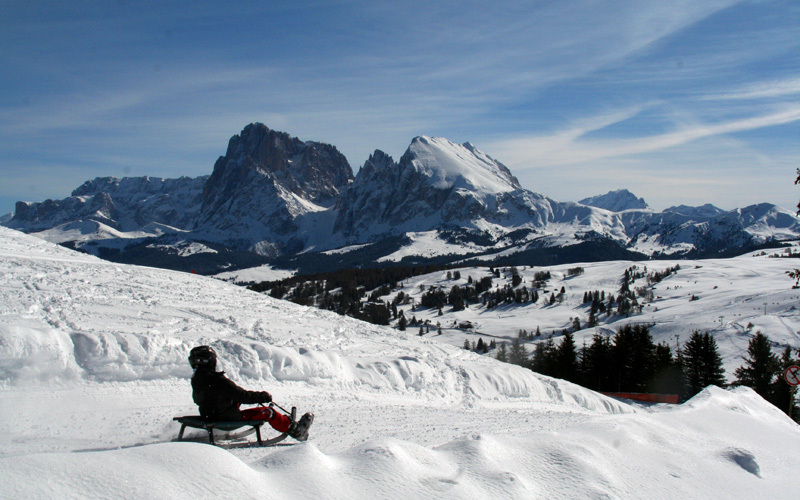 Racing down the toboggan slopes, toboggan parties with friends by the light of the full moon as you feast your eyes on the view over the nearby Dolomite peaks: Tobogganing in the Alpe di Siusi/Seiser Alm holiday area in the Dolomites is an incredible experience. 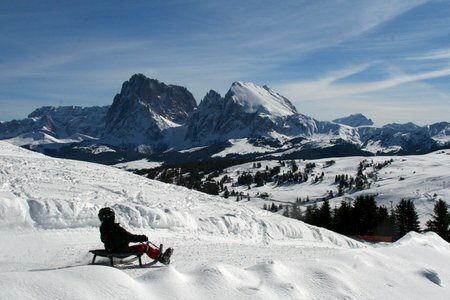 Tobogganing in the Dolomites is endless: 23 kilometres and 11 sledding slopes fulfil every last wish of tobogganers from beginners through to experts. And all surrounded by the panoramic view of the Dolomites, rounded off to perfection with the sunny winter’s days and the vastness of Europe’s largest mountain plateau. 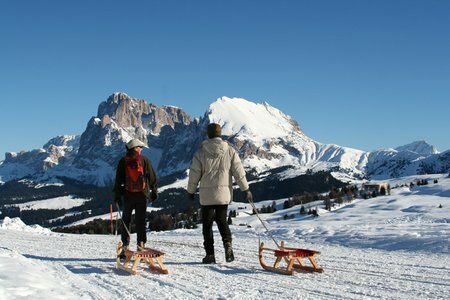 Tobogganing in the Alpe di Siusi holiday area is not just a sport but a promise of gourmet excellence, and numerous huts tempt you in to sample the traditional fare of the Dolomites. 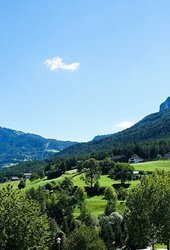 You can get to the set-off point of the toboggan slopes easily on foot, or more easily still by cable car (the Spitzbühl, Florian and Panorama chairlifts, or the Telemix Bullaccia/Puflatsch). 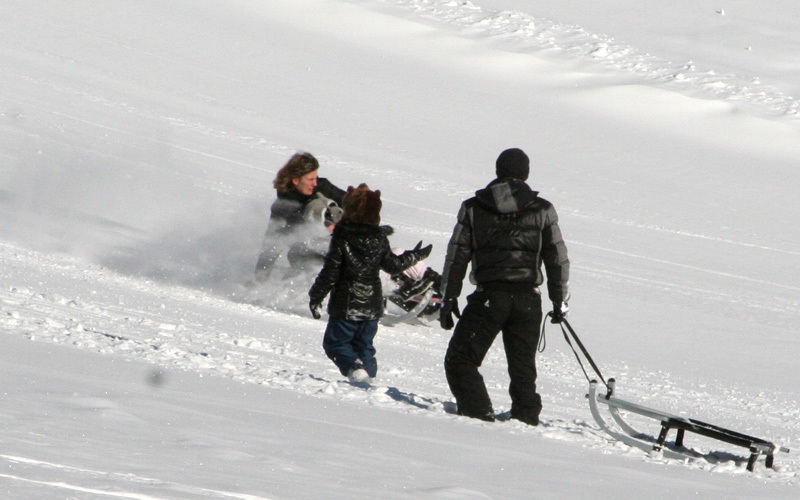 Toboggans can be rented out straight from the mountain cabins, the mountain stations and ski rentals. And for night-time tobogganing fun, a spot of moonlight tobogganing is what you need: When the full moon shines over the toboggan slopes, it’s time for a sledding party with friends and loved ones - an unforgettable experience for tobogganing fans.